Are You Struggling With How To Discuss Eating Disorders With Students? The darling of the Winter Olympics, figure skater Adam Rippon, recently dished to The New York Times about struggling with an eating disorder throughout his career. "I do my best to teach my students not to compare their bodies to one another," said Megan Bogart, teacher at Turning Point Dance Studio, on Facebook. "I tell them that it's normal as women to question our bodies, but to think about the amazing things our bodies can do for us as dancers when those questions arise." 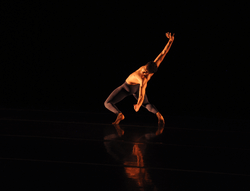 Traver Woodward, former dancer with Lane Dance Company, has a different perspective. "I think this should be less a question that implies responsibility of the teachers and more a question of the directors as to what their plans are for casting more dancers with diverse body types and developing audiences who appreciate them. The lack of representation in dance is sad, reserved behind thinly veiled superficial prejudices, as if physical expression is somehow exclusive to bodies that are thin." Regardless of your stance on the subject, it's a conversation that requires sensitivity so that your students develop healthy relationships with food. If you're struggling with how to confront this sensitive topic with your students, here are four of our best tips on spotting an eating disorder in a student, how to talk to a student with a suspected ED and what you can do as their teacher. There are many physical and behavioral signs typical of someone with an eating disorder. If you notice her layering clothing for warmth, rapid weight loss, depression and irritability, among other things, intervention is needed. Sports psychologist Dr. Brian Goonan suggests pointing out tendencies you perceive to be typical of someone with an eating disorder. Good examples include: "I notice you haven't been eating your lunch with the other students," or "You seem to be really picky about what you eat lately." Never accuse someone outright of having an eating disorder. Prove that you eat regular meals. Emily Harrison, an Atlanta Ballet faculty member, former company member and registered dietitian, says that when she teaches, she always brings snacks for herself, like an apple or carrot sticks. Then, during a break, she'll eat it in front of the students. She'll sometimes eat her lunch in the hallway around them, too, just to show that eating is part of her schedule. "I think we need to model good behavior," she says. Talk privately about body concerns. Don't draw attention to a dancer's body changes in front of others, even to praise it, says Harrison. If you are concerned about a dancer—if she drops a concerning amount of weight over a few weeks or a couple months, especially if it causes her to lose strength and stamina during class, or if other students have begun talking about it, speak with the dancer privately in a positive way. "Always start with, 'I care about you, and I want you to be healthy,'" Harrison says. Then, "'I've noticed your body has changed over the last few months, and here's why I am concerned.'" If you think the student is at the point of being in danger—significant weight loss, skin color has changed, extra body-hair growth—call in the parents, Harrison says. Wingert says they tend to respond in one of two ways: "Either they'll be in complete denial or they'll start to sob and say, 'We don't know what to do.'" In the cases where a parent doesn't think there's a problem, Wingert will ask that the dancer get a doctor's clearance before continuing classes. Teachers, how do you deal with combating the aesthetic pressures and encouraging healthy eating habits to your students? Please share in the comments.